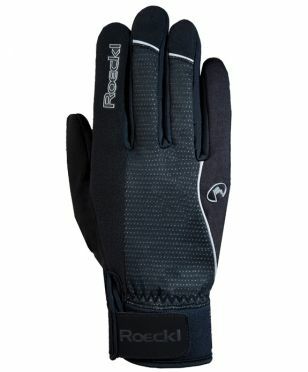 Sporty, slim and simple: The Roeckl Rebelva winter cycling glove black unisex is a warm, windproof and highly breathable winter biking glove, making it the perfect companion when you’re out cycling, whatever the weather. Not only is this model very tactile and provides a good grip on the handlebar, it also features a soft and warm inner lining that reliably protects your hands on those cold winter days. The combination of an elastic backhand fastener and a knitted cuff makes sure that the warmth stays inside the glove. 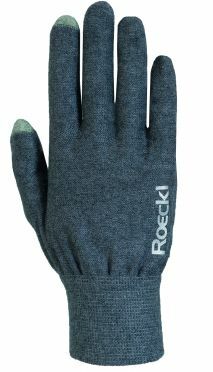 Glove specialist ROECKL SPORTS expands its small but nice range of liner gloves with the Roeckl Kapela cycling glove gray unisex knitted glove. It is worn directly on the skin as a first layer. Furthermore, the glove reliably raises the temperature inside the glove by a few degrees and fits like a second skin. 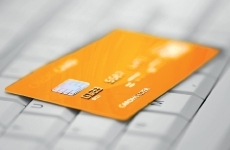 The KAPELA is characterized by seamless processing, i.e. there are no bothersome seams. The yarn itself is a mixture of Modal and cotton. In addition, a copper thread is incorporated into the tissue at the fingertips of the index finger and the thumb– making the thin, comfortable glove TOUCHSCREEN COMPATIBLE. And the best for last: a special procedure makes the hand-warming glove water-repellent so that it can easily be worn separately. The water-repellent feature lasts for up to 10 washes. 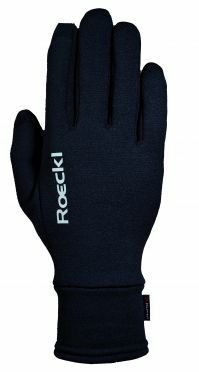 Innovative and stylish: The Roeckl Recife winter cycling glove black unisex is an exceptionally tactile, windproof as well as breathable winter biking glove featuring a short, sporty cut. The elegant color gradient on the backhand is a real eye-catcher. An understated design, an attractive fit and high-quality features are the focus of the Roeckl Reinbek winter cycling glove black unisex. The flexible Gore WINDSTOPPER® Soft Shell Elastic and Gore WINDSTOPPER® Tornado materials on the back of the glove provide optimum protection against cold headwinds. The palm, made from soft yet durable DURASENSE faux suede, comes with the patented, seamless COMFORT INNOVATION padding at the crook of the thumb and ergonomic foam padding too. This absorbs pressure and vibrations and stops your hands from going numb on longer trips. 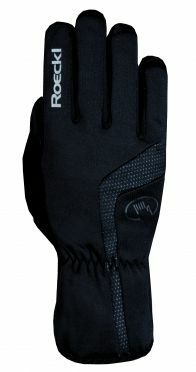 Warm hands in the wintertime: ROECKL SPORTS presents the Roeckl Rajola winter cycling glove black unisex, a comfortable, multi-purpose winter biking glove. The backhand made from Gore WINDSTOPPER® Soft Shell Elastic and Gore WINDSTOPPER® Tornado reliably protects your hands against the headwind. Thanks to the fact that this material is elastic, also gives this glove a good fit and makes it very comfortable to wear. 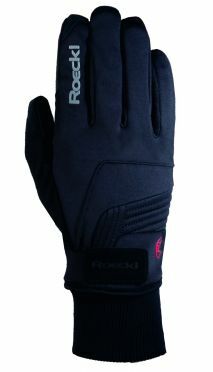 Versatile and extremely comfortable to wear - ROECKL SPORTS presents the Roeckl Paulista cycling glove black unisex. Convenient: this allrounder is TOUCHSCREEN COMPATIBLE, allowing you to take calls on your smartphone without having to take off your gloves. The thumb and index finger were designed using a sophisticated 3D cut to enable quicker and easier use of the touchscreen without compromising wear comfort. 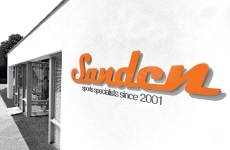 Furthermore, this glove boasts a slender fit. 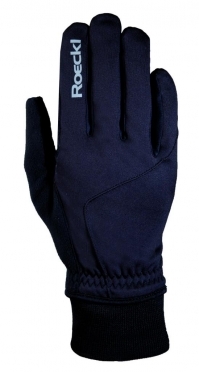 The Roeckl Rabal winter cycling glove black unisex is made with a variety of convenient attributes. 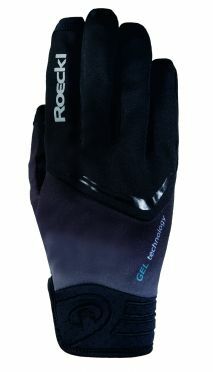 For the backhand, the glove tailor ROECKL SPORTS has chosen to combine ROECK-PROOF and Gore WINDSTOPPER® Tornado. The palm is made from DURASENSE, a waterproofed and robust synthetic suede material. The patented COMFORT-INNOVATION fabric is guaranteed effective padding at the sensitive crook of the thumb.